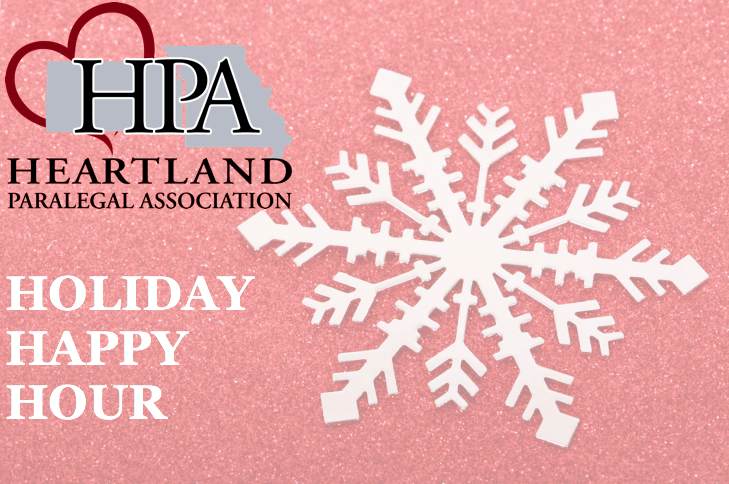 Please join Heartland Paralegal Association to celebrate the holiday season! All HPA members, and non-member paralegals, legal assistants, paralegal students, and legal administrators are welcome! Enjoy appetizers, drinks, and networking with other paralegals. We will also “wrap up” our fundraising efforts for our 2017 annual charity, Heart to Heart International, and we intend to present their check to them at the happy hour. Please RSVP by December 1st. There is no fee for this event.